Great Christmas Fair, Film Festival sponsored by UN, Kalyadny Fest, Bulba Battle, photo exhibitions for every taste and color, New Year's Eve parties and concerts are specially selected events that you definitely need to get on the eve of the New Year 2019! 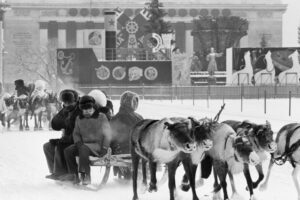 Not only in summer but also in winter, the cultural life in Minsk is in full swing: after all, no one is afraid of the cold, everyone wants to make the rest of the outgoing year unforgettable! So we decided to make a list of exciting events in December 2018, both free and paid especially for you, so don’t miss the chance to have fun and be able to plan a trip during these events. 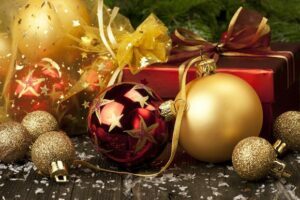 Particular attention should be paid to the last week before the New Year because there will be Christmas. 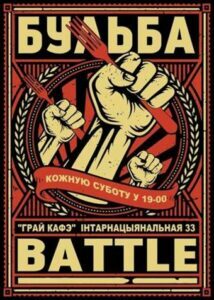 So, here is a list of the most interesting events in Belarus in December 2018. When: December 1 to January 6 (weekends only). 13:00 to 21:00. One of the most popular places for young people, the “Sandbox”, has opened again! 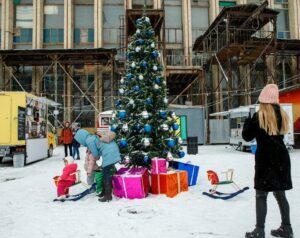 This time the “Sandbox” will appear in front of the guest in all the pre-New Year's glory: a magnificent Christmas tree, light bulbs, a New Year's menu, mulled wine, tea from a samovar. Also, in addition to a variety of thematic sets for 7 rubles, you can buy presents for yourself and your close ones: “Pea-market” works with handmade products at the site. What a winter fair without activity? The sandbox can now offer a photo zone near ice figures, a snow hill with tubing, and even a snowboard show. 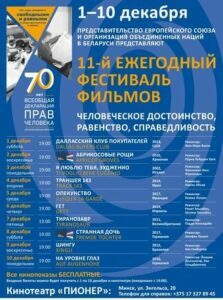 11th Film Festival "Human Dignity, Equality, Justice"
The film festival “Human dignity, equality, justice”, traditionally organized by the Delegations of the European Union and the United Nations will be held in Minsk from December 1 to 10. You can enjoy 10 films, many of which received awards at film festivals: “Dallas Buyers Club” (USA, 2013) with Matthew McConaughey and Jared Leto starring, “Xingu” (2011), “Trench 143” (2014), “ Geth ”(2014),“ At eye level ”,“ Guardianship ”(2017), etc. Over the years, Kalyadny Fest was loved by different people. This year you will be able to plunge into the medieval atmosphere and the Belarusian musical folklore! 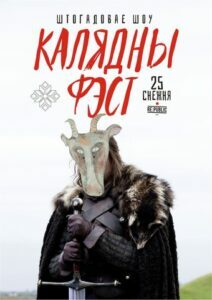 The festival has already registered more than 32 musical groups, including Osimira (the musical group will take part in the fest for the first time), Irdorath (Belarusian fantasy folk rock on rare musical instruments), Rokash (electric neofolk-rock with elements of art-rock and progressive), Znich (authentic tools and growling) and "Stary Olsa". The championship on eating free and therefore even more delicious pancakes from potato for speed becomes more popular! Everyone will be able to try their strengths. The winners will receive positive prizes and will be able to participate in the final battle of this year with standing prizes. Planning a trip to Minsk? Then you should read this. On the eve of the New Year holidays, you definitely need to have a New Year mood! And for those who haven’t yet had time to acquire it, this is an excellent reason to spur their mood: on December 14, a large New Year's project starts, in which three photo exhibitions will be presented to you. The first is “When the trees were big,” where funny New Year photos from family albums and archives of Belarusian photographers, artists, and art lovers are waiting for you. The second guest - “PRO YOLKI” - united the creative works of famous Belarusian photographers on the same “New Year theme”. The amazing project “Christmas Cards from the Collection of Dmitry Serebryannikov”, where you can enjoy rare Christmas cards from the beginning of the twentieth century from the collection of the famous Minsk collector, closes the New Year's photo exhibitions. Where: pl. Liberty 23A, "Upper Town"
In the hall, there will be the magical atmosphere, filled with joy and light of the Bethlehem star, the works of recognized jazz masters will sound: G. Miller, G. Mancini, R. Rogers, J. Garland, B. Finegan, and others. 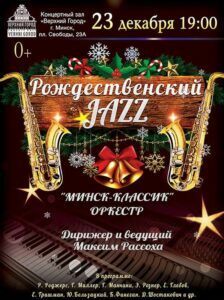 The highlight of the concert will be the performance of the first jazz composition of the Belarusian music of 1940 “Jazz in the night”. If you're a fan of jazz, then take a look at the New Year's Eve from the Jazz Club. 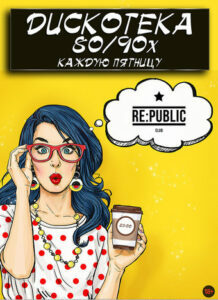 Price: girls before 24:00 free of charge, after 24:00 - 5 rub., guys 10 rubles. The new disco season of the 80-90s opens the Re: Public club from December 7: only the most incendiary hits of the 80-90s from DJ BAGAZHNIK / DJ VYSOCKIY / Ms Jan Maksimovich. Breaking off at the disco - that is necessary on the eve of the New Year's feast. 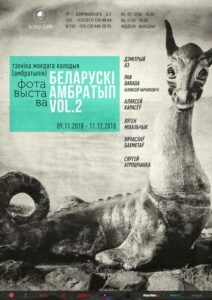 Photo exhibition “Belarusian ambrotype vol. 2 ” is composed of portrait works and still lifes of 6 authors, who work in the technique of wet colloidal process — ambrotype. This technique is interesting because at first the viewer can see a negative impression on the glass, but if you attach the image on a black background, you’ll get a positive image to which we are used. By the way, ambrotype is over 160 years old. Price: up to 3 years free, after 3 years - 6 rubles., Pensioners - 7 rubles., Adults - 8 rubles. Master class - 9 rubles. Visiting the “World of Christmas tree toys”, everyone will be able to find a little thing for himself: more than 2000 exhibits from 70 countries of the world will appear before the public’s eyes If you were at the exhibition last year - you should go again, because every year the exhibition fund is updated. This year you will be able to see rare exhibits, for example, an exact copy of a toy presented to Pope John Paul II and listed in the Guinness Book of Records. Also, visitors have expected not only a variety of Christmas decorations but also master classes for different ages and interests. It definitely won't be boring! If you are a guest of Minsk, we’ll recommend looking at the options of places to stay. 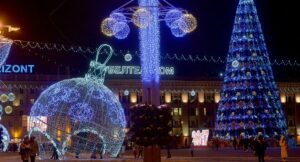 It was the top 10 events in the pre-New Year of Minsk in 2018. In order not to miss the top of the next month, subscribe to us on social media!